With 10,000 people turning 65 every day and emergency department (ED) visits among this age group growing from approximately 16 million in 2001 to over 21 million visits in 2015, the ED serves as a critical entry point to the healthcare system where people are either admitted or discharged, setting the stage for the future of care. 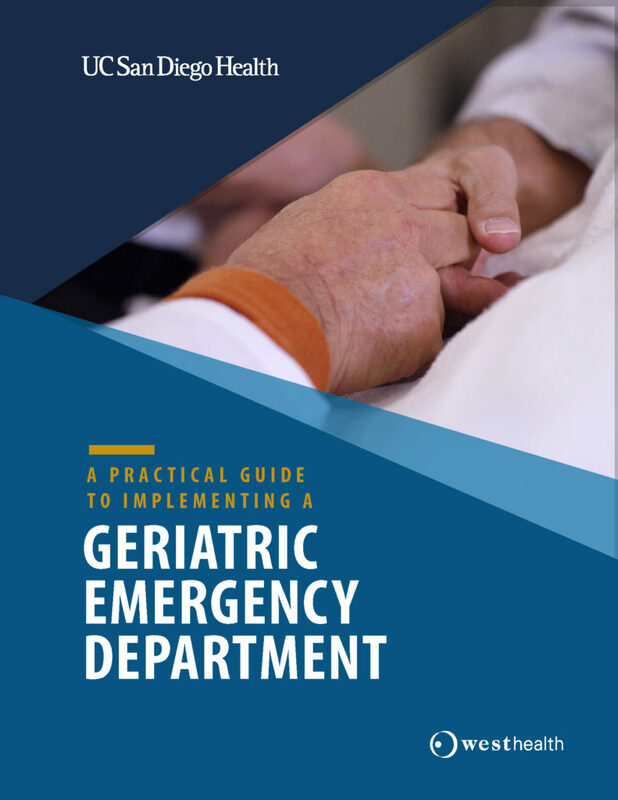 To support health systems developing a geriatric emergency department (GED) in their own facility, UC San Diego Health and the West Health Institute have created this implementation guide based on our experience establishing the Gary and Mary West Senior Emergency Care Unit (SECU) within the Gary and Mary West Emergency Department at UC San Diego Health in La Jolla. In May 2018, the ED was the first in California to receive GED accreditation by the American College of Emergency Physicians (ACEP) and was among the first in the nation to receive Level 1 designation – the highest and most comprehensive level. You can learn more by downloading the free implementation guide below.